During the course of a 60 minute escape room experience at Team vs Time, you and your team will explore unique environments, find interesting objects, and use clues to solve a series of puzzles in an attempt to reach your ultimate objective. Your adventure awaits! 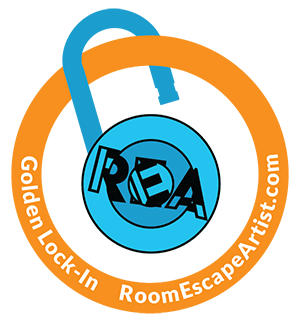 We typically offer at least 3 different escape game experiences. Each adventure offers a completely unique team challenge, with a varied theme and level of difficulty. You’ll solve puzzles ranging from finding a lost book of magical spells, to unearthing a plot to overthrow the queen, to a period when the mafia ruled the streets. You’re in for a daunting challenge – do you have what it takes to escape the room? Find Us Just North of Downtown Chitown! Team vs Time is located in the Bucktown / Wicker Park neighborhoods just north of downtown Chicago. This area is known for live music and nightlife, James Beard Award-winning restaurants, and numerous art galleries. It’s the perfect place to get your fun in at our escape games and then venture out for some great food and shopping. We’re just 10 minutes west of Lincoln Park Zoo and 10 minutes north of the Willis Tower. Get on I-190 E and take I-94 to W Armitage Ave. Take exit 48A from I-90 E/I-94 E. Turn Right onto W Armitage Ave, Team vs Time will be on your right. Head west on W Adams St/Historic U.S. 66 W toward S Clinton St. Turn right to merge onto I-90 W/I-94 W. Take exit 48A for Armitage Ave toward 2000 N. Turn left onto W Armitage Ave and destination will be on your right. Perfect for Team Building, Corporate Events, Private Parties, and More!